Goju Ryu was founded by the legendary karate man Miyagi Chogun (1888-1953) of Naha village. Master Miyagi learned Karate in Okinawa from one of the greats: Kanryo Higashionna (1853- 1961). Master Higashionna had trained for many years in China and had combined the skills of Chinese boxing with his native Okinawan to form this distinctive Karate style. Kakurin Kan Karate is real Karate-do, a synthesis of 40 years of training in the Japanese Goju Ryu Karate system of Goju Kensha headed in Japan by Hanshi Tadahiko Ohtsuka (1940 – 2012). The preoccupation of competition Karate is not evident in Kakurin Kan, instead a relentless search of original and authentic martial art training methods and principles. 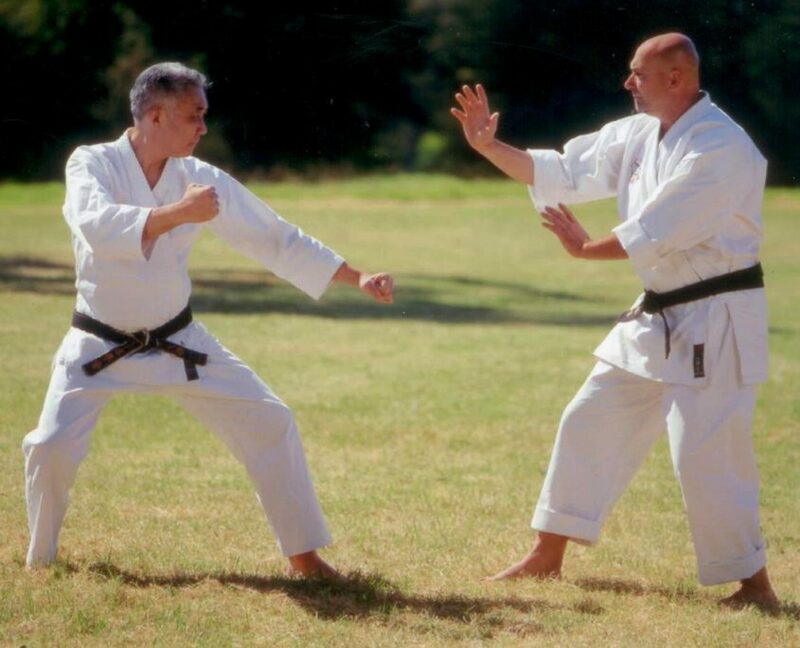 James Sumarac is a six generation Karate Master from the founder of Goju Ryu and is the only non-Japanese to have studied directly under Master Tadahiko Ohtsuka, ever since their chance meeting in Tokyo in 1973. Originally, the Goju Ryu style had no name; Master Miyagi felt compelled to give it a name when one of his students in conversation was asked the name of his style. The name derives from a phrase in the Chinese martial arts classic, The Bubishi, which states that “the way of inhaling and exhaling is hardness (Go) and softness (Ju)”.